After a couple lead changes and a few breathtaking scoring runs, Khimki Moscow Region cape up on top against Igokea Aleksandrovac on Wednesday night, 80-67. After the 10 games, Khimki wins Group E with a 9-1 record while Igokea drops to 3-7 and says goodbye to Eurocup competition. Sergey Monia and Marko Popovic led the winners with 17 points apiece, combining for 8 of 13 threes. Kresimir Loncar added 13 points and James Augustine added 11. 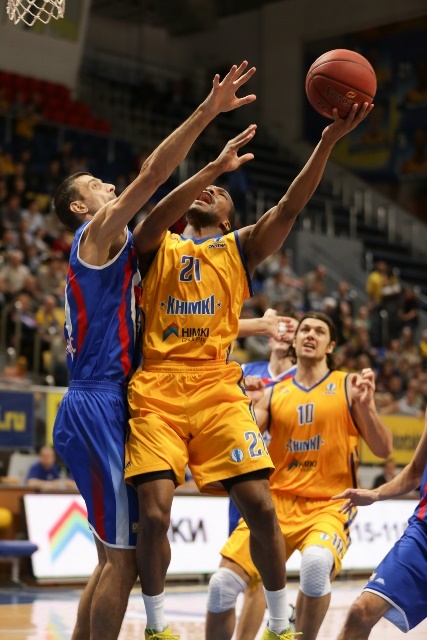 For Igokea, Milan Dozet led all scorers with 20 points, Teddy Gipson added 11 and Branko Jorovic nailed 10. An opening jumper by Sinisa Stemberger gave Igokea Aleksandrovac the first advantage on the scoreboard but Khimki Moscow Region reacted fast with Sergey Monia's three. Monia in fact was everywhere, giving assists and nailing another three but the guests stood their ground and with a 0-9 run combining points from Teddy Gipson and Milan Dozet for 12-20. A timeout was all it took. A 8-0 for Khimki soon tied the game again but Dozet had time for another bucket to make it 20-22 after 10 minutes. Marko Popovic opened the second period with a three to put the hosts in command again, and they kept the momentum. Already at 10 assists in minute 12, Khimki was trying to run and have good ball circulation for a 12-4 partial score in the quarter at that point. Khimki's team play was paying off as the lead kept getting larger in the last minutes of the first half until reaching the double digits at the halftime break, 45-32. The third period started with a new 8-0 Khimki run that launched the hosts to a comfortable position on the scoreboard, 53-32. But far from solved, the game turned again on Igokea's side when Dozet and Gipson continued pounding on Khimki's basket to score again and again. A 5-20 run allowed the guests to go down to single digits again, 58-52. 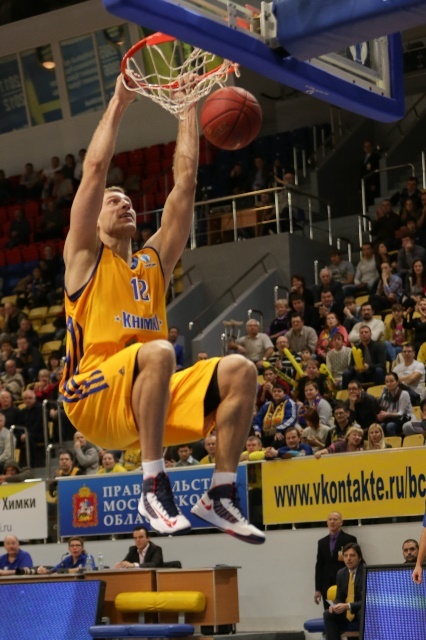 Kresimir Loncar's free throws gave Khimki a little more air in time to end the third quarter, 60-52. Igokea tried to continue the comeback but vic stepped up with two straight threes for 71-58 that would surely make things way harder. With the assists rate up to 22 at this point and a 41% from the arc, Khimki was holding the right cards in its hand for the win. The clock moved forward and Monia scored again for a new double-digit lead entering the last two minutes of the game, where the hosts managed the lead wisely to keep the last win of the regular season at home. "After our domestic game with CSKA Moscow, I had some anxiety about the proper mood of my players as after matches with good teams, players sometimes relax and think they can beat a weaker opponent on a fifty percent skill. I'm glad we played smart today despite some injures and gave time to young guys on the court. We played with heart, played for the win, and we got it." 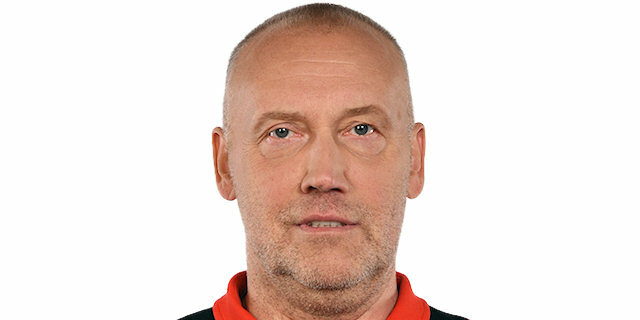 "First of all congratulations to Khimki on a good game and victory. I think it’s the best team in the Eurocup. Most of the game we played equally with them and they beat us in the second half of the second quarter and the fist half of the third quarter. They played great in transition, on offense and shooting. In last quarter, we got to minus six, but they controlled the whole game."